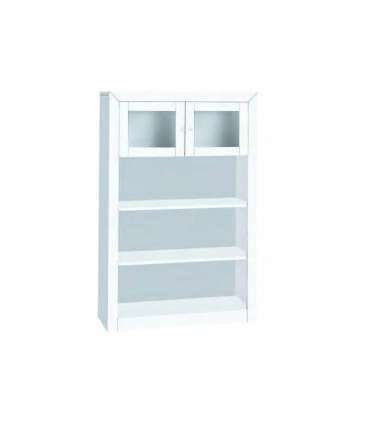 Bookcase with shelves for kitchen or living room lacquered white consists of a library of two shelves and two doors manufactured the exterior in white lacquered MDF and inwardly in wood solid pine finger-jointed with silver handles. Need a library for your living room, hallway or even cooking? 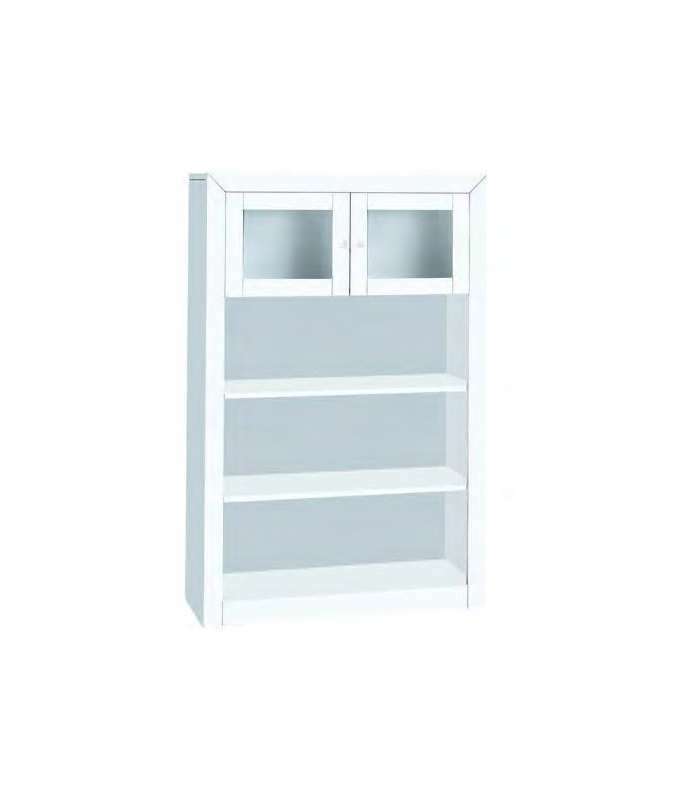 with our Bookcase with shelves for kitchen or living room lacquered white consists of a library of two shelves and two doors manufactured the exterior in white lacquered MDF and inwardly in wood solid pine finger-jointed with silver handles. It is served in a very easy mounting Kit and with clear instructions step by step.